Pre-focusing is a technique that allows us to take focused and sharp photographs in the situations where focus in real time is usually not possible or difficult. In this article on Pre-focusing, we will see a simple technique that is very useful when photographing moving subjects or scenes are action-packed. Situations such as these can lead to shots out of focus because the movements of the subject movement are too fast or too unpredictable to allow the camera to focus at the point and at the correct time. If we want to take pictures of pets, after studying their movements, we could pre-focus a point where we expect will pass and shoot only when the birds actually reach that point. We could go wrong to predict in which, pointing to the subject that we want to photograph; therefore it is better to choose an opening that is not too wide, so that the portion of the image focus is remains greater (to get the depth of field that we want to achieve). The choice of the point on which to prefocusing must be done very carefully. Above all, keep in mind that the camera will focus on a plane that is parallel to the sensor that will pass through the point identified. Therefore, it is necessary to focus on a point that is the same, where you will find the object to be photographed when it enters the frame. For this reason, in the previous example of a motorcycle race, a point on the asphalt is a good choice as a point of focus, because the bikes we will pass right infront your nose. Plus there will be shutter lag. In general, choosing a point on the ground is often a good idea. When the scene may not include the ground, you need to find an object that has the same distance from the camera. Aiming any object in the background could lead to a blurred subject. This is because the movement of the subject to be photographed could intersect the object in the background, but this object could be several meters distant from the camera and then on another plane of focus. Given the simplicity of implementation, the technique of pre-focusing may seem silly. In addition, the real difficulty lies in predicting the movements of subjects to photograph and identify the most appropriate point on which to focus. Like many other photographic techniques, proper use of pre-focusing demands exercise. This Article Has Been Shared 335 Times! 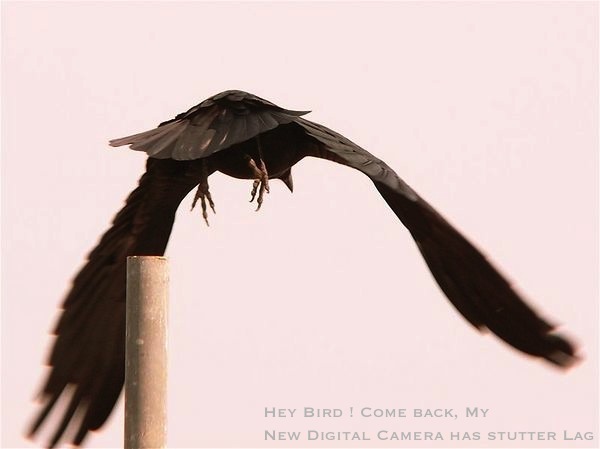 Cite this article as: Abhishek Ghosh, "Pre-focusing to Prevent Blurry Photos for Moving Subjects," in The Customize Windows, August 25, 2013, April 24, 2019, https://thecustomizewindows.com/2013/08/pre-focusing-to-prevent-blurry-photos-for-moving-subjects/.